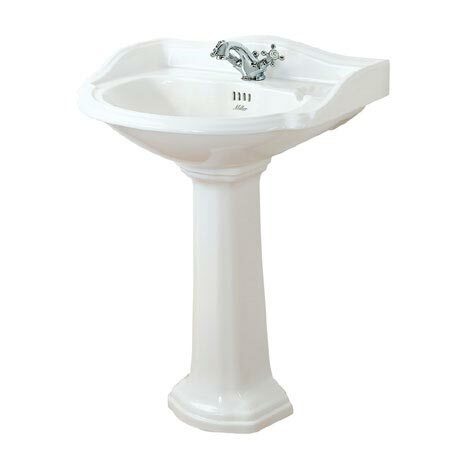 Miller's 655mm Traditional 1TH Basin with Full Pedestal has been designed to compliment the Traditional 1903 range. Features a built in overflow and raised back. Manufactured from fine ceramic its period styling adds elegance and luxury to any bathroom.